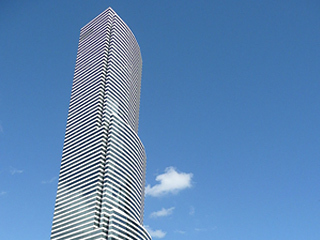 According to data from the U.S Energy Information Agency (EIA), commercial buildings account for nearly 20% of total energy consumption in the United States in 2018. This may be surprising to some, but when you consider that there’s nearly six million commercial office buildings in the United States, you may be able to picture the scale of their energy consumption. Buildings need to be energy efficient not only for the good of the environment, but to remain financially viable. When factoring in tenant health and comfort to the equation, it’s no wonder why property managers and owners struggle to find the right building automation system (BAS) for their property. Luckily, we understand the struggles you face and are here to help. As the commercial office environment becomes increasingly competitive, retaining tenants becomes more challenging. 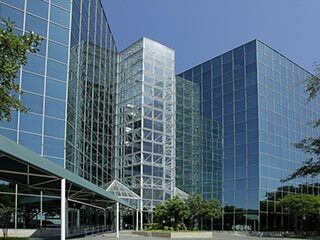 With 35 years of experience designing, manufacturing, installing, and servicing building automation systems, Computrols understands the role the BAS plays in a commercial office building. When we say BAS, we aren’t just referring to HVAC controls for climate comfort and efficiency; we are also referring to access controls, lighting control for energy efficiency, and fire alarm for life safety. That means one point of contact for all of your BAS subsystems, and they all carry the industry’s only lifetime warranty. We understand that property managers and owners want a system that will save energy and dollars over time, while building engineers need a reliable system to operate on a daily basis. That’s why we design and build the BAS industry’s most reliable hardware to save energy, money, and headaches in commercial properties. While many of our big-box competitors intentionally design their systems to have a limited lifespan, we believe that your BAS should stand the test of time. A BAS’ life-cycle costs are directly tied to the quality of the product and the philosophy of your BAS vendor. As we mentioned previously, many big-box BAS vendors design their systems to fail over time, or at the very least stop servicing their legacy products after a certain period of time. That way they can sell you the latest and greatest product to guarantee ongoing revenue. At Computrols, we have never obsoleted a product. Beyond that, we offer integration solutions to a number of our competitors’ systems. Just because your vendor stopped servicing their own system does not mean its life cycle has ended. Do your tenants work outside of traditional hours often? If so, tracking and billing tenants for overtime air usage can be crucial. While there are many overtime billing services that bill monthly as part of a Software as a Service (SaaS) model, Computrols’ overtime air solution, CBAS Web, has a one-time cost. You own the system the day it is installed and can immediately reap the benefits of overtime tenant billing. When you consider our lifetime-warranty controllers, refusal to obsolete products, willingness to integrate with our competitors’ products and overtime-billing capabilities, Computrols offers the most economical BAS solution on the market. We are proud to say that all of our HVAC, access, lighting and life-safety controllers are manufactured in the United States of America. Despite many of our competitors offshoring manufacturing to save on costs, Computrols has always made it a point to design and build our products at our headquarters in New Orleans, Louisiana. This not only ensures that we have full control of the quality assurance process, but it enables our company to empower the American worker. As we alluded to earlier, Computrols offers a lifetime warranty on every controller we manufacture. Our warranty speaks for itself and is a testament to the quality we engineer into every control board. Computrols’ lifetime warranty is not just a buzz-worthy phrase either; it has real-world, fiscal benefits in commercial office buildings. Consider all the different expenses a property manager or owner must balance in his or her capital budget. There’s aesthetic elements like flooring, walls, landscaping and art. There’s a number of systems that are vital for a building’s functionality, not the least of which are elevator systems and telecommunications. With all these expenses to consider, wouldn’t it be nice to know that your HVAC, access, lighting and life-safety controllers are guaranteed for life? 3100 & 3150 Bristol St. Located at the corner of Trumbull and Church Street in Hartford’s Central Business District. 280 Trumbull Street is a 29-story Class A office tower located in downtown Hartford, Connecticut. Constructed in 1984, the property underwent a full renovation in 1998- 99 with over $2 million in capital improvements. Voted 1999-2000 BOMA Building of the Year, 280 Trumbull Street features the largest Class A floor plates in the CBD. This 50-story office building constructed in 1983 was formerly the headquarters of Enron, America’s largest natural gas company during the 1990s. One of the icons of the Houston skyline, in the blazing Texas sun it reflects light in all directions. Dulles, Virginia is an unincorporated area located in Loudoun County, Virginia, part of the Washington Metropolitan Area. The 2.2 million square foot master plan includes 12 buildings and seven parking structures, set in a natural landscape. This 28-story office building in the New Orleans Central Business District utilizes a unique architectural design that offers many more corner office availabilities than a traditional building design. This project included a retrofit installation from Honeywell to Computrols CBAS. The 11th tallest building in the United States and the second tallest building in both Texas and Houston after Houston’s JPMorgan Chase Tower. The Amoco Building is a distinctive 20 story Class A building highlighted by a black reflected glass exterior. The property provides a great environment for tenants who desire a multi-tenant working environment that is central to the area amenities, but also easily reached by freeway and street access. Built in 1982, The Entergy Corporation Building is a 28 story, 380 foot, Class A Central Business District office building. The building is constructed of reinforced concrete with a 4” concrete floor slab, and stands on a foundation of driven concrete pile caps. The property’s exterior curtain wall consists of an aluminum anodized bronze-tone frame with granite and double-pane reflective-glass. Marathon Oil Tower is a 41-story premier Class A office alternative in the Uptown Houston area and was the 2006 international recipient of the BOMA International Building of the Year award. Built in 1978, 1250 Poydras is a 24-Story, 342 foot, Class A Central Business District Office Building. The building is constructed of reinforced concrete with a 4” concrete floor slab and stands on a foundation of driven concrete piles and concrete pile caps. Exterior curtain walls are anodized aluminum with a bronze tone frame. The windows are solar-tinted, reflective double-pane glass with vapor-barrier glass. A major lobby renovation was completed in November 2001. The property is located on 8th and Stephen Avenue, in the Downtown core of the City of Calgary. Are you looking for a Computrols dealer? We have authorized dealers throughout North America. Find one near you today.